Traffic Law: If found guilty of street racing, what is the possible punishment? February 29, 2012 /in Traffic Law /by Daryle C. Tibbs Esq. Daryle C. Tibbs, owner of Tibbs Law Office, continues a new series dedicated to the topic of Traffic Law. https://tibbslawoffice.com/wp-content/uploads/2011/07/handcuffs-thumbnail-110717.jpg 277 400 Daryle C. Tibbs Esq. https://tibbslawoffice.com/wp-content/uploads/2016/02/logo-300x74.png Daryle C. Tibbs Esq.2012-02-29 09:00:002018-02-07 16:20:17Traffic Law: If found guilty of street racing, what is the possible punishment? Traffic Law: Do both parties need to be caught in order to be charged with street racing? February 24, 2012 /in Traffic Law /by Daryle C. Tibbs Esq. https://tibbslawoffice.com/wp-content/uploads/2011/07/handcuffs-thumbnail-110717.jpg 277 400 Daryle C. Tibbs Esq. https://tibbslawoffice.com/wp-content/uploads/2016/02/logo-300x74.png Daryle C. Tibbs Esq.2012-02-24 09:00:002018-02-07 16:23:33Traffic Law: Do both parties need to be caught in order to be charged with street racing? Traffic Law: Can a DUI/OVI be expunged? https://tibbslawoffice.com/wp-content/uploads/2011/07/handcuffs-thumbnail-110717.jpg 277 400 Daryle C. Tibbs Esq. https://tibbslawoffice.com/wp-content/uploads/2016/02/logo-300x74.png Daryle C. Tibbs Esq.2012-02-24 09:00:002018-02-07 16:21:54Traffic Law: Can a DUI/OVI be expunged? Traffic Law: What is street racing? February 22, 2012 /in Traffic Law /by Daryle C. Tibbs Esq. https://tibbslawoffice.com/wp-content/uploads/2011/07/handcuffs-thumbnail-110717.jpg 277 400 Daryle C. Tibbs Esq. https://tibbslawoffice.com/wp-content/uploads/2016/02/logo-300x74.png Daryle C. Tibbs Esq.2012-02-22 09:00:002018-02-07 16:25:06Traffic Law: What is street racing? Traffic Law: Should I seek the advice of an attorney if I have been charged with street racing? February 17, 2012 /in Traffic Law /by Daryle C. Tibbs Esq. Daryle C. Tibbs, owner of Tibbs Law Office, begins a new series dedicated to the topic of Traffic Law. https://tibbslawoffice.com/wp-content/uploads/2011/07/handcuffs-thumbnail-110717.jpg 277 400 Daryle C. Tibbs Esq. https://tibbslawoffice.com/wp-content/uploads/2016/02/logo-300x74.png Daryle C. Tibbs Esq.2012-02-17 09:00:002018-02-07 16:28:03Traffic Law: Should I seek the advice of an attorney if I have been charged with street racing? January 6, 2012 /in Traffic Law /by Daryle C. Tibbs Esq. If you are like me, you have been pulled over a few times. You are just cruising down the highway, thinking about the day’s events and by the time you see the stealth Crown Victoria with the reflective police seal on the side and the thin lights on top that at first glance appear to be a bike rack, it is too late. You know that he has already clocked you but you tap your breaks and hold your breath. After you pass him, you continue to hold your breath while you watch him in your rear view mirror. As soon as you pass him, you hear the cracking of his tires over the rock-covered pull off as he pulls out of the median and begins to creep behind you. He doesn’t put on his lights right away, he teases you by following closely for a few miles, while he looks you up on his computer. Then you see the red and blue flashing strobe lights. You finally breath, you cuss under your breath, and you begin to make your way over to the shoulder. I have received several moving violations over the years. I have had at least two speeding tickets, one of which resulted in a suspension of my license, one stop sign violation, one official warning, and one warning, off the record. As a young adult, I used to just pay my traffic tickets and be done. I didn’t want to mess with the court date, or the court costs. That is until I began prosecuting traffic cases for the Dublin Mayor’s Court in Columbus, Ohio as a legal intern. As a legal intern, I learned that the prosecutor is not interested in conducting a trial for traffic violations. I learned that if you went to court and pled “not guilty,” they would set the case for a pre-trial, during which the defendant (or defendant’s attorney) would have the opportunity to speak to the prosecutor and tell the prosecutor why the defendant should not be convicted of the charged violation. The best tactic that worked with the prosecutor that I worked with was not to deny that you were speeding, but rather to state that although you were speeding, you have a job that you will get fired from if you get this moving violation. Often times, the prosecutor would amend the charge so that the defendant was going a lower speed than what the ticket states, or the amendment would be a lesser charge. Amendments to the charge would often result in less points for the defendant, less of a fine, and a lesser conviction. When clients contact me regarding traffic violations, I often charge a reasonable flat rate, that when added to their fine and court costs, actually ends up costing them less than if they had just paid their ticket. By contesting the ticket, clients often get less points. This will save them money in the long-run with their car insurance rates because insurance rates go up when people get points on their license. While I can’t guarantee this result for every client, I have had favorable results for many clients. The type of client that will get the best result is the client that has employment (especially if their job involves driving) or is going to school and has a clean (or good) driving record for the two years preceding the new violation (or if this is a first violation). Although it is possible for defendants to achieve these results on their own, it is difficult because not all courts will set the case for a pre-trial, and sometimes the attorney has to make the deal while court is in session. As a defendant, it is difficult to get the prosecutor to talk to you while many other things are going on. 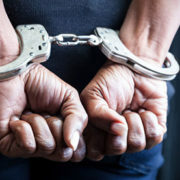 Hiring an attorney for this task will get you better results because your attorney can file your “not guilty” plea, which allows you to not attend the “Cattle-call” style arraignment and at the pretrial, the cases with attorneys get called as soon as the attorney and prosecutor have made a deal. This allows you to save a lot of time. Criminal Law: Can I be found guilty of an OVI (or DUI) in Ohio if I only had one drink or was otherwise under the legal limit? December 21, 2011 /in Traffic Law /by Daryle C. Tibbs Esq. https://tibbslawoffice.com/wp-content/uploads/2011/07/handcuffs-thumbnail-110717.jpg 277 400 Daryle C. Tibbs Esq. https://tibbslawoffice.com/wp-content/uploads/2016/02/logo-300x74.png Daryle C. Tibbs Esq.2011-12-21 09:00:002018-02-07 17:44:40Criminal Law: Can I be found guilty of an OVI (or DUI) in Ohio if I only had one drink or was otherwise under the legal limit?